Like the rest of Australia, Tasmania was caught up in the worldwide economic depression which followed the Wall Street Crash in 1929. Despite the emergence of industries in the 1920s, Tasmania was already poorer than the mainland, and the Depression had a devastating impact – in 1931, 27 percent of trade unionists were unemployed. Loss of employment occurred in many areas in the private and public sectors, and many workers were put on reduced time. Most wage earners had their wages cut. However, falling prices gave people a slightly better chance to make ends meet. During the Depression Tasmania was governed by the conservative Nationalist Party. It adopted contractionary policies such as balanced budgets and agreed to the conservative Premiers' Plan in 1931. As a result the Tasmanian economy recovered only very gradually after 1934 as economic conditions improved. In 1934 Labor won government and its more expansionist Keynesian approach to economic management – more expansionist in spending – contributed to a healthier economy. The Nationalist government was niggardly in providing relief for the unemployed, believing it was imperative that they work for the dole, as work meant self-respect, and fearing both an increase in crime from idle hands and minds, and communist insurgency. The unemployed worked for allowances based on the size of their families, those with larger families having to labour longer hours. These allowances were considerably lower than average wages, and were usually distributed as sustenance ration cards. Work for the dole was often difficult and union conditions did not apply, but major projects included the Tin Dish Deviation on the Hobart–Launceston railway line, and the Pinnacle Road to Mount Wellington. Despite declining agricultural markets and failed soldier/closer settlement schemes, the Nationalists had a strong rural orientation, giving subsidies to farmers to take on the unemployed, and helping struggling farmers stay on their farms. Many community organisations helped the unemployed, such as the Young Men's Christian Association, Toc H (an ex-servicemen's charity), Church of England Men's Society, Returned Servicemen's League, Salvation Army and St Vincent de Paul. The Depression encouraged Tasmanians to become more inward-looking and isolationist. There was a tendency to blame federation, through its tariffs, which primarily benefited mainland firms, and the commonwealth Navigation Act which increased the cost of Tasmanian shipping. A Tasmanian Dominion League was established, its major plank a demand for secession. Both sides of politics lobbied the Commonwealth for a better deal. Such pressure from smaller states led to the establishment of the commonwealth Grants Commission in 1933. Community and business groups tried to boost local confidence and foster recovery: a Tasmanian Wembley celebrated Tasmanian industry and products, the Launceston Fifty Thousand League organised 'Made In Tasmania' and 'Ideal Homes' Exhibitions. Tasmanian businesses were encouraged to replace imports, such as producing apple cases instead of importing them. The local self-help ethic extended to opposition to foreign workers, and Italians and Maltese on the west coast and even mainland workers were criticised. The unemployed reacted in various ways. The majority felt guilty and unhappy and tried as best they could to make ends meet. They would have preferred not to accept charity or government help, but in reality had no choice. They scrounged for any work they could get, and to provide for their families would engage in activities such as growing vegetables and trapping rabbits. A minority was not prepared to accept becoming scapegoats for the Depression. Communists of the Hobart and Launceston Unemployed Workers' Movement were a small minority but had a large impact. They criticised the capitalist system which they believed was responsible for their plight, and demonstrated against the 'scab rates and conditions'. Moderate and conservative elements in the community felt threatened. Ex-servicemen, in particular, were prepared to confront communists, and organisations opposing communism included the Reform League, Australian Citizens' League and the All for Australia League. They lobbied governments to place restrictions on communists, and actively confronted them. On Anzac Day 1931 in Launceston, when communist leaders flew the Red Flag and displayed radical literature, opponents tore down the flag and sang the national anthem while fighting occurred. The radicals won a few concessions but often had to back down. There was much less government support and help for the unemployed in the Depression than after the Second World War – due, in part, to the Depression generation working to ensure that the system would provide the unemployed with a better deal than they had received. 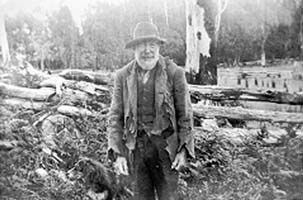 Issues evident during the Depression such as anti-federal sentiment and migration to the mainland have continued to be a feature of the Tasmanian scene. Further reading: M Cloudsdale, ' Tasmania and unemployment, 1930–33', Honours thesis, UT, Hobart, 1975.